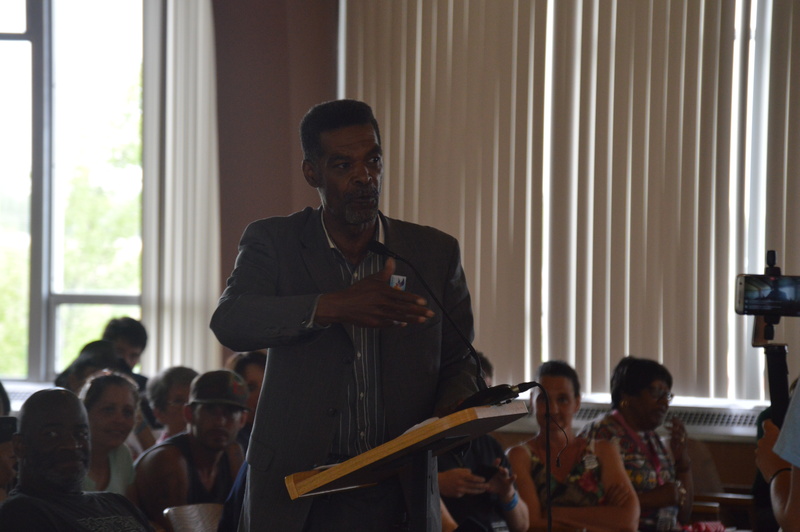 FLINT, MI – A Flint City Council member has filed an complaint against Councilman Eric Mays for pawning his city issued laptop. Councilman Scott Kincaid says when Mays pawned the laptop issued to him after he took seat on the council he was misusing city property. Mays said in a May 23, 2017 interview with Flint Beat, that he fell on hard times and pawned the laptop for $100. When questioned about the incident on May 23 he readily admitted he pawned the laptop but said he didn’t think he did anything wrong. Mays pawned the laptop for a $100 loan at Music Man Pawnshop, located across the street from Flint City Hall. He was responsible to repay the $100 plus fees and interest and paid the debt on May 23 to retrieve the laptop. Flint Police said on May 23 that they were investigating the issue. Mays would not comment on the investigation or Kincaid’s report. It’s EVIDENT & CLEAR,…..that he is in NEED of SOME DESPERATE HELP! He’s CRY’N OUT w/ALL of his OTHER ISSUES AS WELL! ADULTS NEED HELP SOMETIME TOO! I would just be curious to know how ANYBODY found out that he even pawned the computer? I have used Pawnshops before and all I have ever been asked was to remove the password and of course I was fingerprinted. It seems like maybe he could have borrowed the money from someone…anyone! He knows people in high places…hell, him and the Chief are close! A resident posted it on Facebook. How they found out, I have know idea. We spoke to Councilman Mays and he said he pawned the laptop. The pawnshop that he uses required him to give them the password.